The seaside resort of Arcachon is divided into four districts, each named after a season. The Ville d’Automne has developed around the port. The Ville de Printemps is a leafy residential area to the west of the town. That leaves the Ville d’Été, the commercial heart of the town, and the bourgeois Ville d’Hiver, perched on the dominant heights of a central mound. 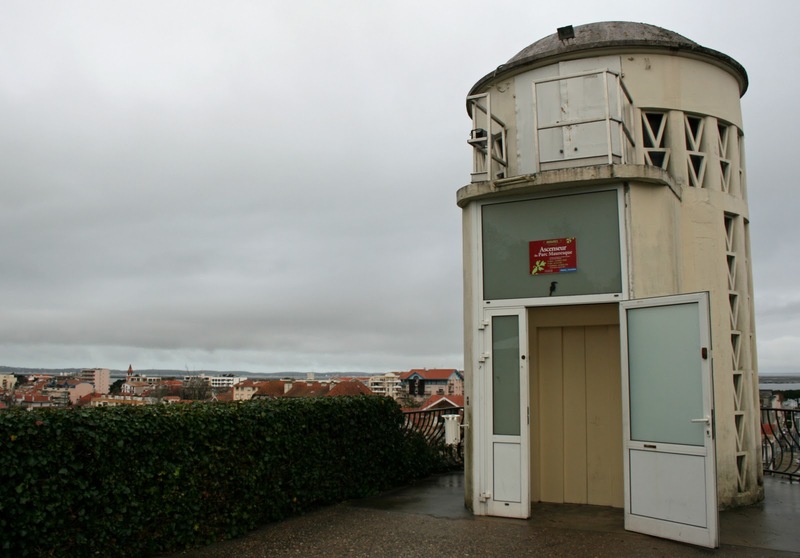 And one of the best ways to facilitate the 25-metre ascent from one to the other is this public elevator! A colourfully-painted tunnel leads to its lower-level door. From there on, the travelling experience itself is not unlike getting into and out of an elevator anywhere else in the world. And that’s a shame because not so long ago, it was still manned full-time by a chatty gentleman who would sell tickets for individual trips in exchange for a token sum of money, or else you could buy a card for ten trips which he would stamp with a hole-punch every time you paid a return visit. Inside the lift itself, the sides were covered with postcards from exotic places the world over, sent by users who had added the attendant to their postcard list. A few years ago though, the attendant retired, the creaky elevator was replaced by a shiny new one, and the 21st century was upon us. Exiting the elevator on the upper level, there is a choice of two views to take in: a scenic view over the rooftops of the Ville d’Été and the Bassin d’Arcachon, or the peaceful greenery of the Parc Mauresque, a botanical garden (and now arboretum) which has been there since 1863, six years after the founding of Arcachon as a town in its own right. 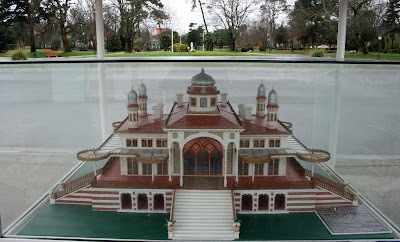 Before heading into the park though, a Plexiglas display case provides a reminder of what used to dominate the surroundings: the spectacular Casino Mauresque. The casino was designed by the architect Paul Régnauld. This man was also behind the conception of the first wave of elegant villas in the Ville d’Hiver quarter, as well as designing a railway bridge in Bordeaux, the construction of which had been led by one Gustave Eiffel. (Further joint projects will be covered in coming weeks.) The casino was an architectural folly that had a touch of Spain about it; its style was heavily influenced by the Alhambra palace in Granada and the cathedral-mosque of Córdoba. Construction was led by the Bordeaux entrepreneur Jules Salesses and the casino was opened in August of 1863, originally going by the name of Casino de la Forêt. Gambling areas and individual café rooms were on the ground floor. 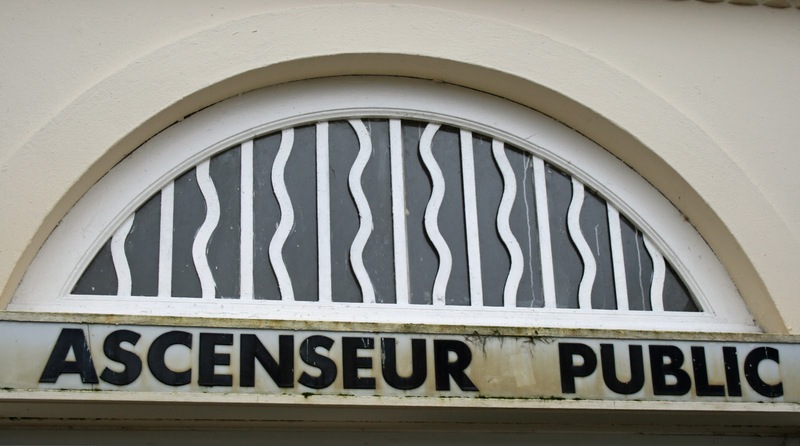 The first floor housed a “salle de spectacle”, a music room, a library and a number of reading rooms. When night fell, the light of eighty gas chandeliers caused the two main 7-metre diameter rooftop domes to glow. 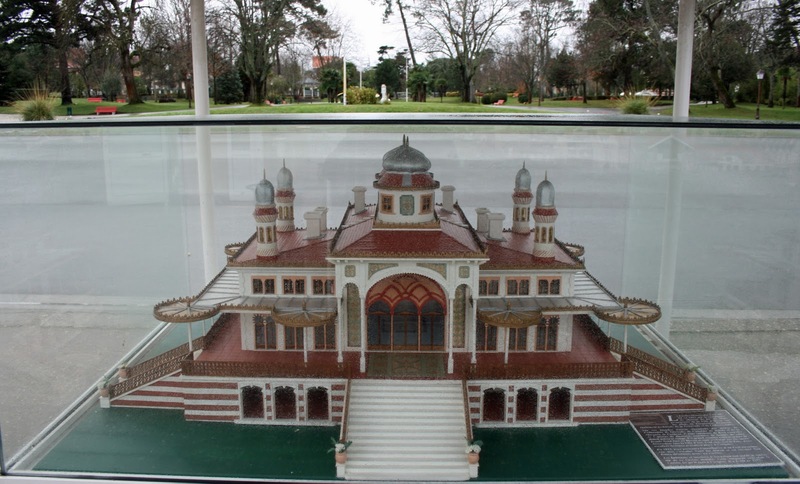 The casino, coupled with the Parc Mauresque’s offering of bandstand entertainment and an open-air children’s theatre (the San Carlino), proved to be a popular draw with the well-to-do residents of Arcachon and visitors alike, and played a large part in raising the profile of the town. The casino also proved to be a versatile facility, being used as a makeshift hospital during the First World War. By the second half of the 20th century however, its golden years were already behind it. 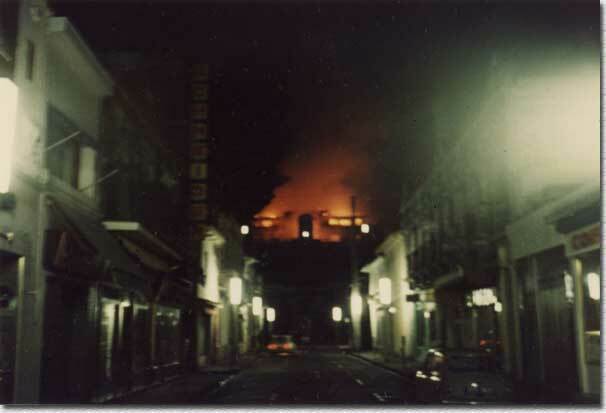 The casino ceased to operate in 1974 and, in 1977, was totally destroyed by a fire in mysterious circumstances. 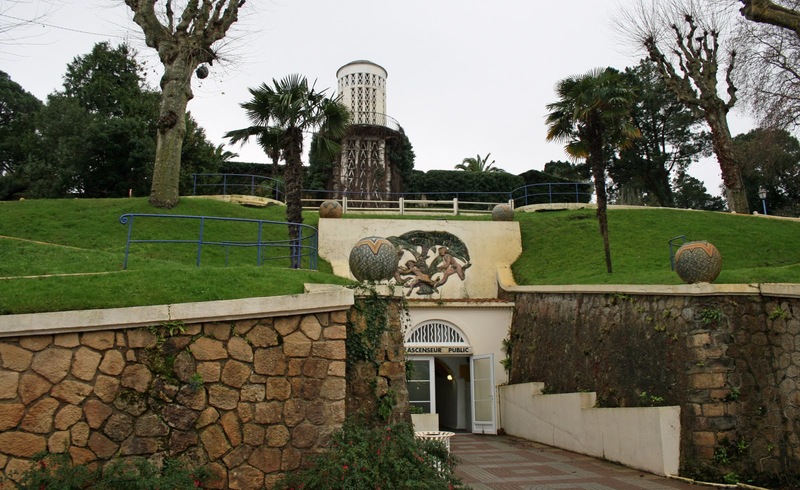 In the early days, getting to the casino meant walking up a winding path from the sea-level Ville d’Été (and this still remains an option!). Then, in 1913, a cable-car was installed. 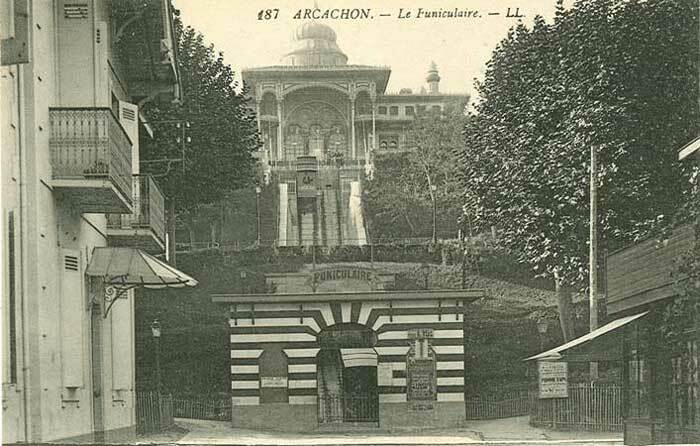 The noisy cable-car, made up of three coaches (one of which was for 1st-class passengers) continued to ferry locals, holidaymakers and people off for a night at the casino until 1949, by which time it was considered unsafe and replaced by the elevator, the tower and shaft of which were built by local contractor André-Claude Patelin. 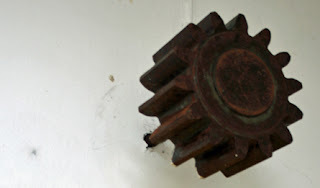 All that remains of the cable-car is a single steel cog (pictured above), which is exhibited in the entrance to the multicoloured tunnel. The rest was donated to metalwork students to be used and dissected for educational purposes. 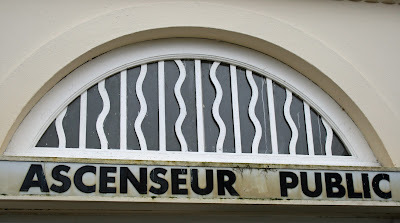 Happily though, taking a trip in the Parc Mauresque elevator still remains, in many ways, an education in itself! Some fascinating pictures of the Casino Mauresque, including aerial shots, can be seen here. Pictures of the cable-car can be seen here. Does "destroyed by a fire in mysterious circumstances" always mean an insurance swindle? 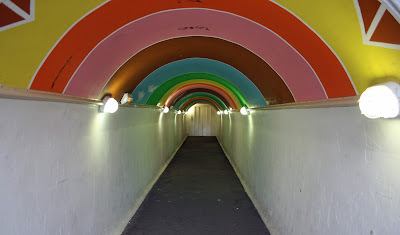 Seems a big shame whatever happened, but at least we still have the great kitsch elevator! 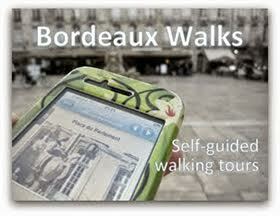 My pleasure - yes, Arcachon is within easy reach of la Charente so do pay a repeat visit to the area! And over the coming weeks I hope to share a few more interesting things to spot in Arcachon - there are some peculiar sights tucked away! Atlantic Wall bunkers: slip sliding away?